Bridge to Terabithia by mfritz is licensed under the Creative Commons - Attribution license. Imagination is a major theme in the book. 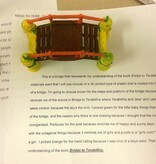 In this project children are asked to build a bridge to the land of Terabithia and explain their design. Students were allowed to build their bridges out of any material (imagination!) 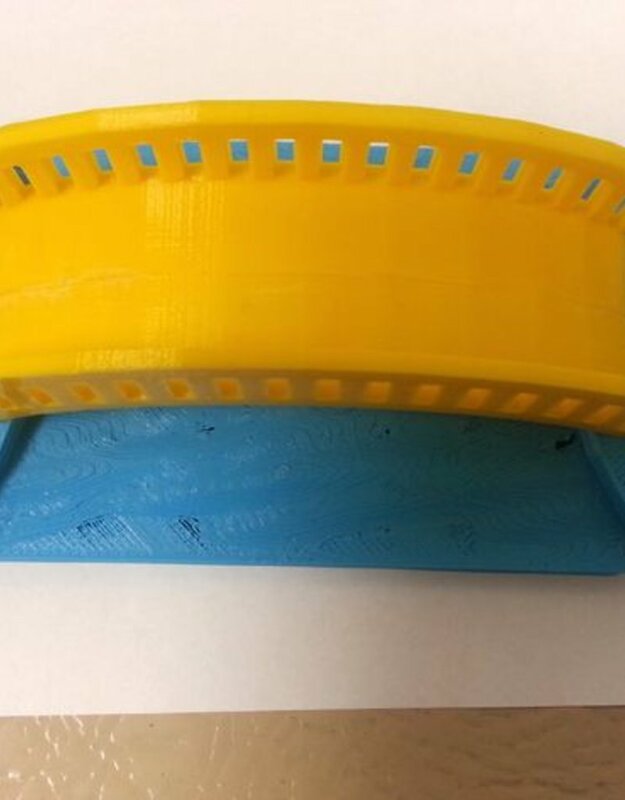 including design a bridge that could be 3d printed. “Every person has a story to tell; especially Jess. When Jess meets Leslie his world turned upside down. With the swing of one rope, Terabithia is born and the “real” becomes magic. 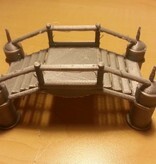 Creating a Bridge: Use your imagination! Imagine you had to create a bridge to get to Terabithia. What would it look like? What materials would you use? 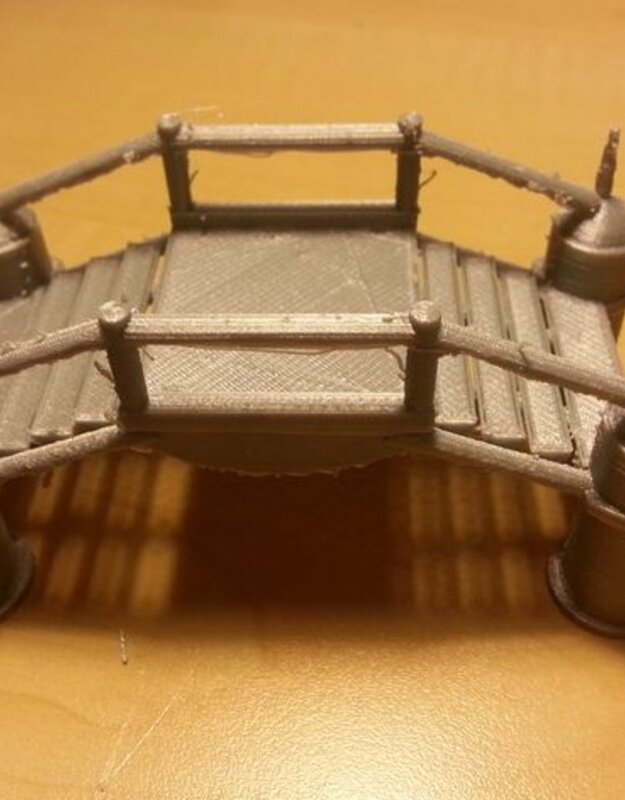 Actually make a bridge. You may use any materials you like, but remember make it imaginative! Also, add a paragraph (typed) on why you chose the design and materials you chose. Grammar and spelling will be graded. 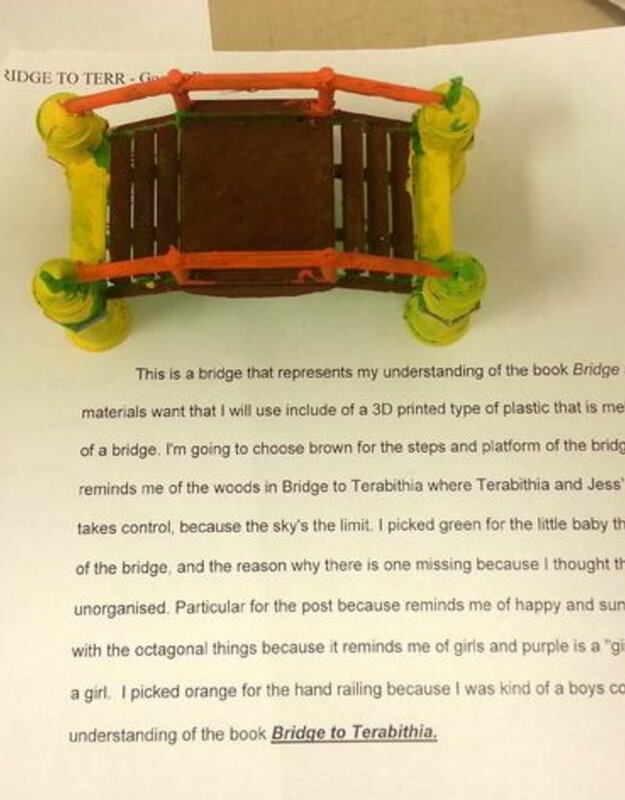 This project was about imagination, so students were allowed to build their bridges out of any materials. 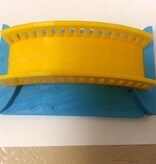 Students can use a cad program like Tinkercad.com to design a bridge that can be 3d printed. All of the student designed bridges were set up in the classroom when completed and the students explained their designs to their classmates. This project was used with a 7th grade literature class but could work for any students that have read the book. This project was assigned after the students had finished reading and discussing the book in class. The students showed a lot of creativity in designing and building their bridges. Examples are shown above.